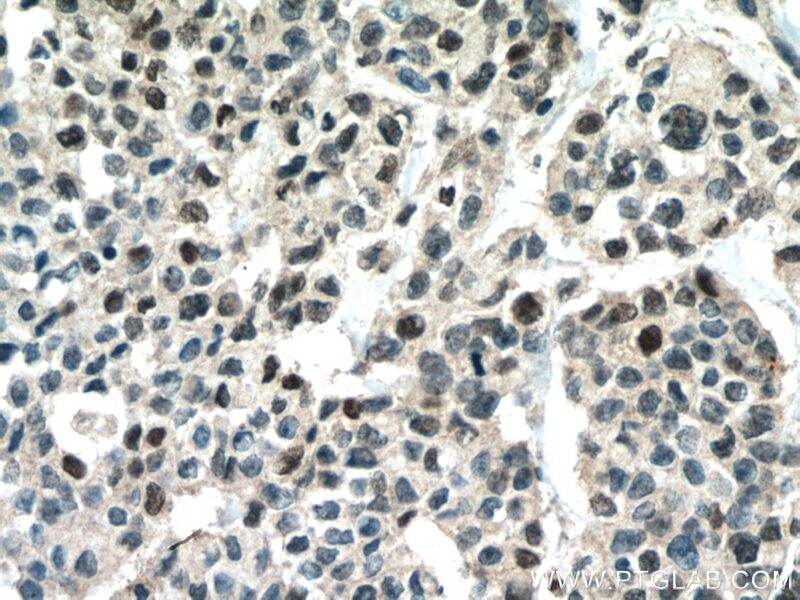 Immunohistochemical analysis of paraffin-embedded human colon cancer tissue slide using 25315-1-AP (RUNX1 (middle) antibody) at dilution of 1:100 (under 40x lens) heat mediated antigen retrieved with Tris-EDTA buffer(pH9). 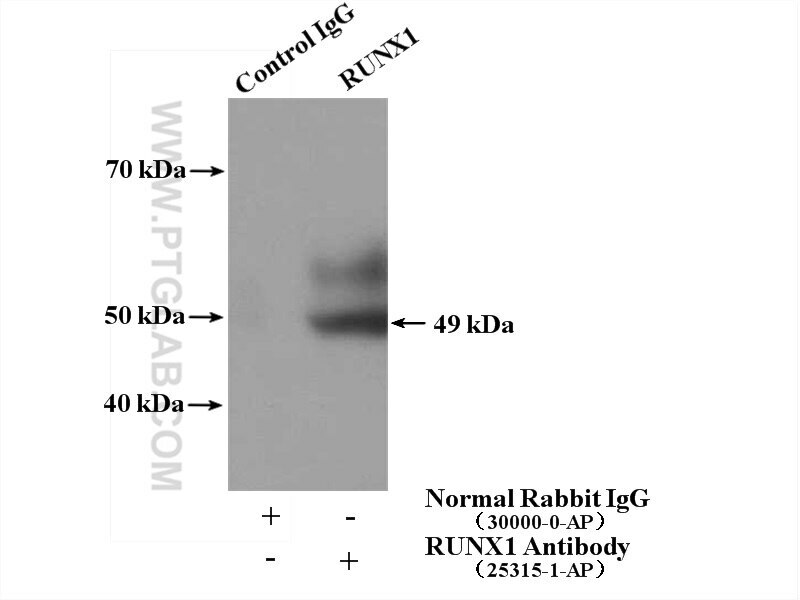 IP Result of anti-RUNX1 (IP:25315-1-AP, 4ug; Detection:25315-1-AP 1:300) with Jurkat cells lysate 3440ug. Runt-related transcription factor 1 (RUNX1), also named as AML1 or CBF alpha 2, is 453 amino acid protein, which contains one Runt domain. RUNX1 localizes in the nucleus and is expressed in all tissues except brain and heart. RUNX1 is involved in hematopoiesis and is frequently targeted in human leukemia by chromosomal translocations that fuse the DNA-binding domain of RUNX1 to other transcription factors and corepressor molecules. In addition to its role in leukemogenesis, RUNX1 is also involved in sensory neuron diversification. RUNX1 exists some isoforms with range of MV 20-52 kDa. The calculated molecular weight of isoforms 1 is 49 kDa, but the modified protein is about 49-55 kDa. The Transcription Factor Runx3 Establishes Chromatin Accessibility of cis-Regulatory Landscapes that Drive Memory Cytotoxic T Lymphocyte Formation. 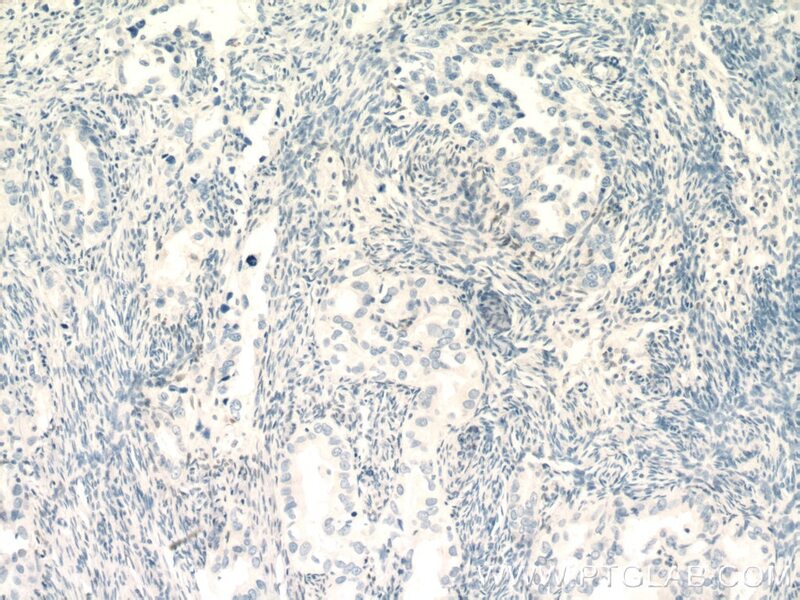 Immunohistochemical analysis of paraffin-embedded human colon cancer tissue slide using 25315-1-AP (RUNX1 (middle) antibody) at dilution of 1:100 (under 10x lens) heat mediated antigen retrieved with Tris-EDTA buffer(pH9). 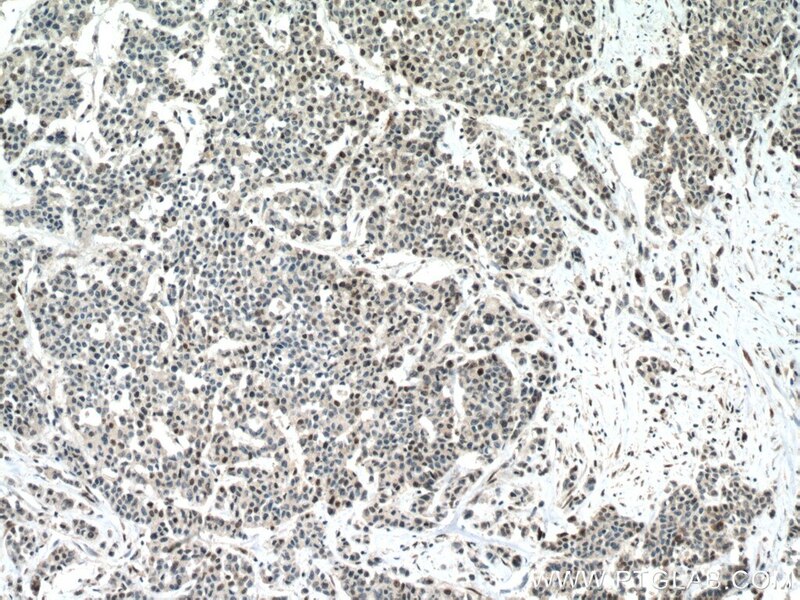 Immunohistochemical analysis of paraffin-embedded human ovary tumor tissue slide using 25315-1-AP( RUNX1 Antibody) at dilution of 1:200 (under 10x lens). heat mediated antigen retrieved with Tris-EDTA buffer(pH9). 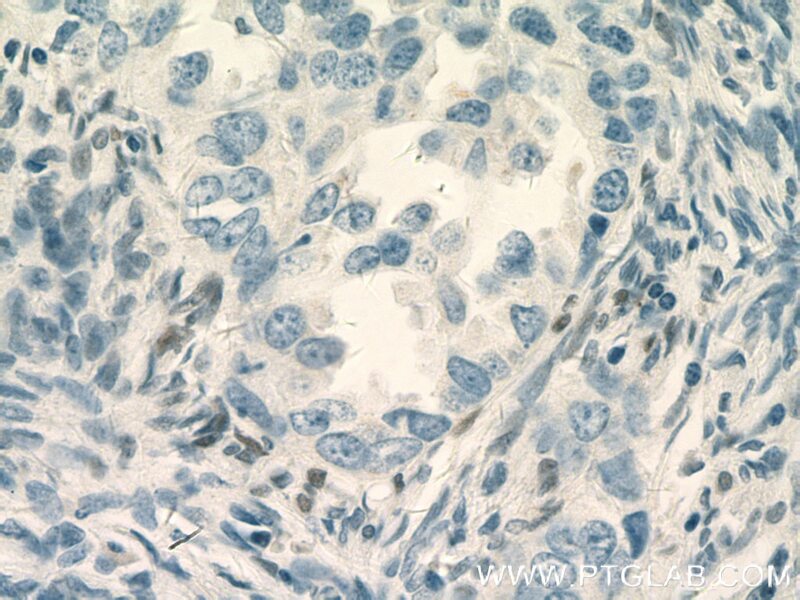 Immunohistochemical analysis of paraffin-embedded human ovary tumor tissue slide using 25315-1-AP( RUNX1 Antibody) at dilution of 1:200 (under 40x lens). heat mediated antigen retrieved with Tris-EDTA buffer(pH9).